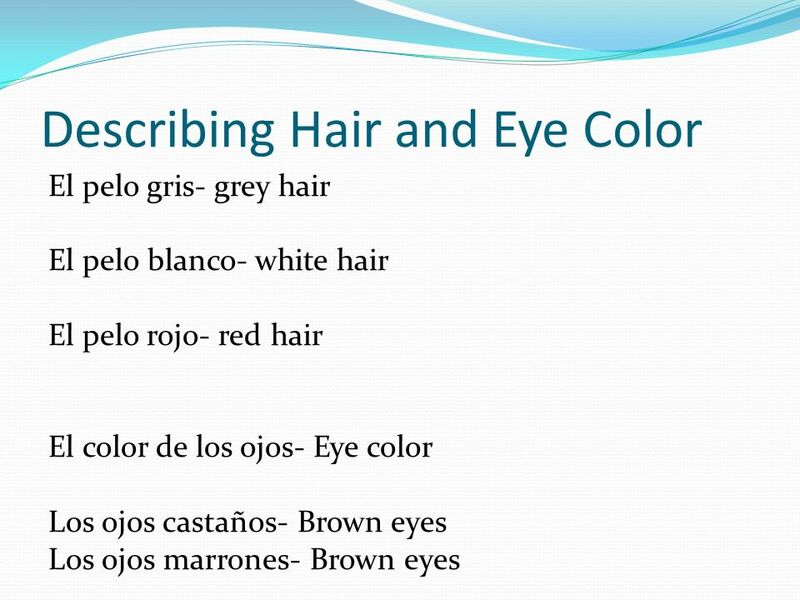 6 Más práctica Describe your hair and eye color. 1. 2. 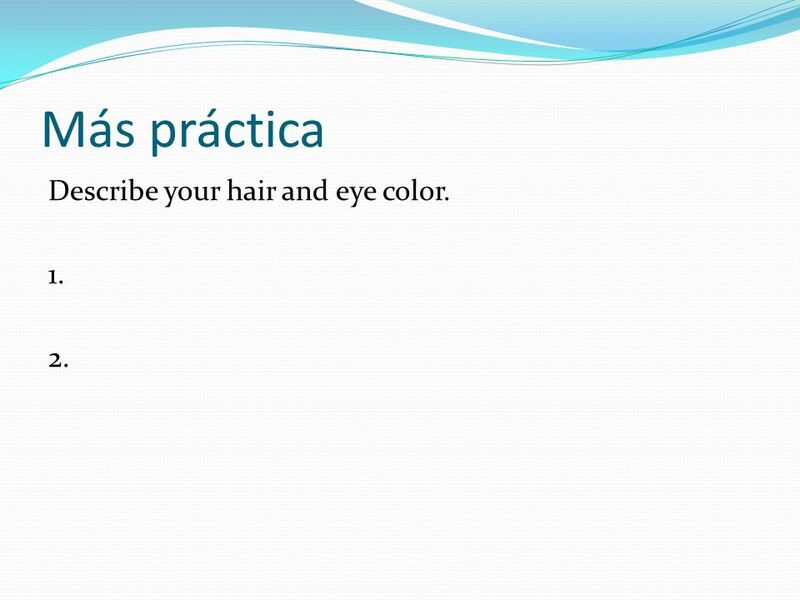 7 Más práctica Write the expressions below in Spanish. 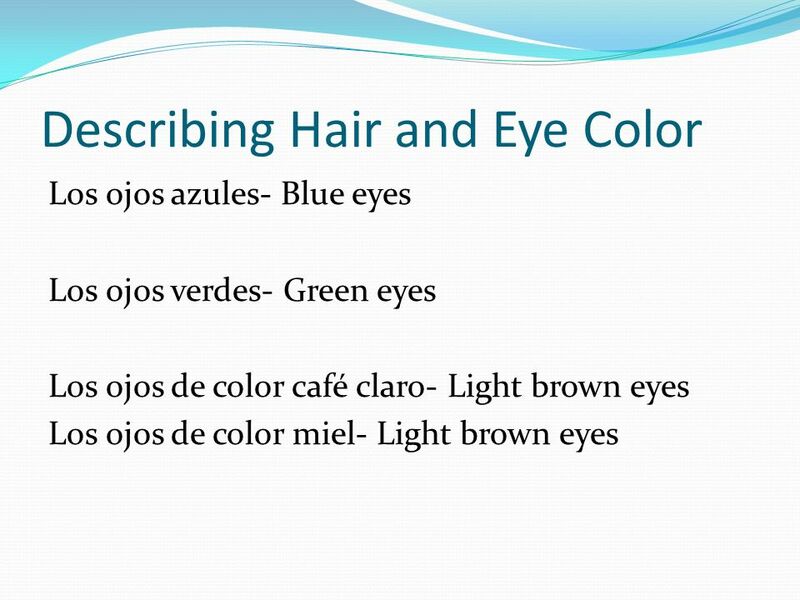 I have green eyes. She has brown hair. 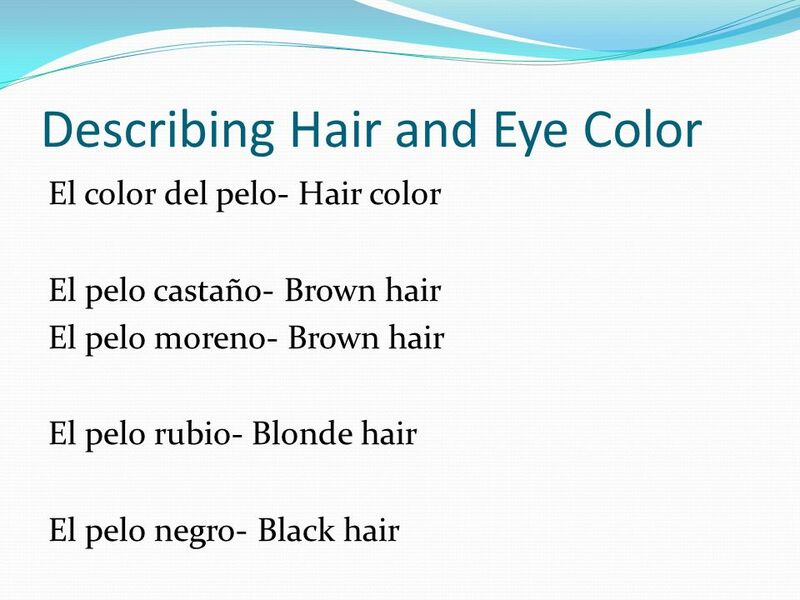 They have blue eyes. We have blonde hair. 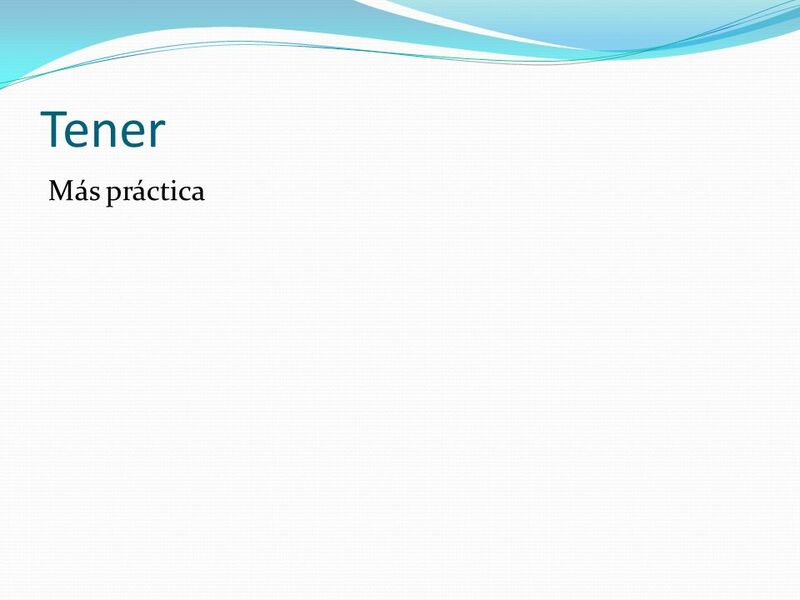 Descargar ppt "Para Empezar Hoy es lunes el diecinueve de noviembre Write the expressions below in Spanish. I have We have They have She has." 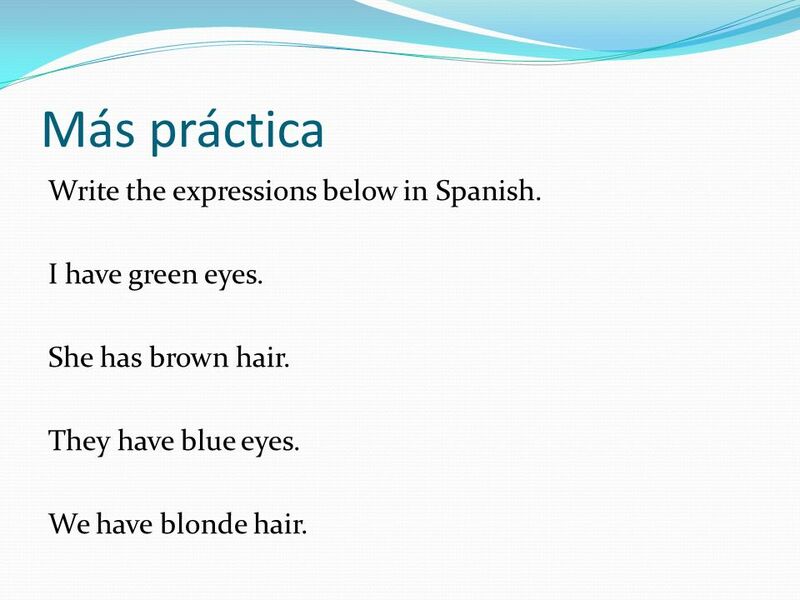 Objetivos 1)To learn about where people speak Spanish 2) to find out what Spanish is really called 3) to revise the colours 4) to do some brain exercises. 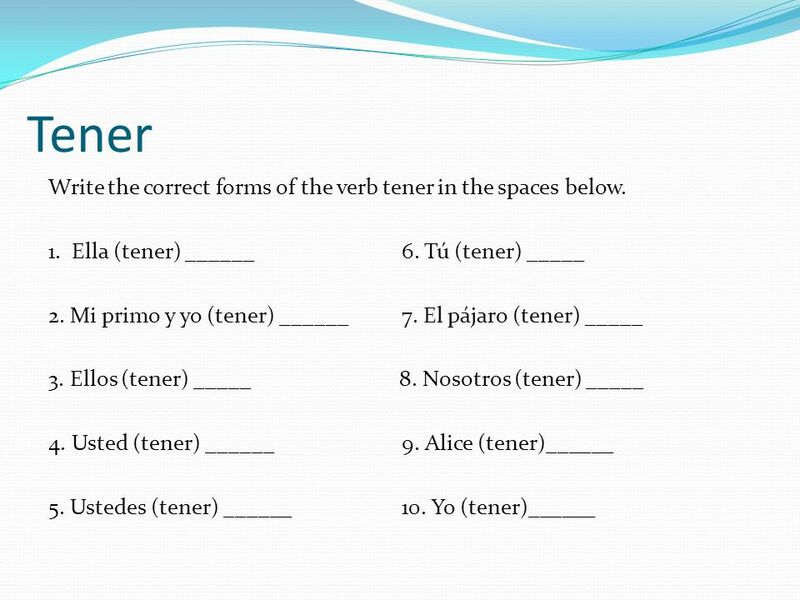 ¿Cómo es... 1)Señor Lovett 2)Señorita Timms 3)SeñorHolleran 4)Señora Toubin 5)Señor Taylor.